Since his return to ESPN in 2013, Keith Olbermann has been a good soldier for the Worldwide Leader and has stayed out of trouble. He’s engaged in various Twitter battles, but they did not escalate to the point where management had to get involved. That was until this week. 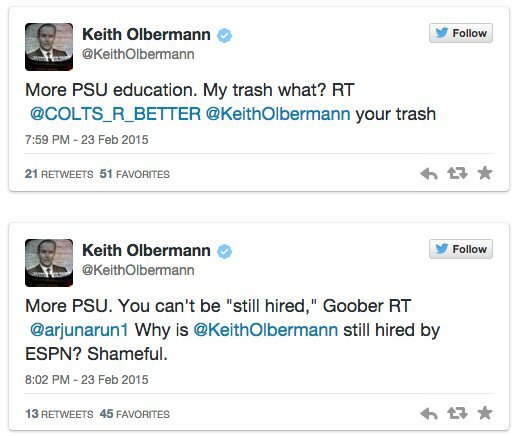 Olbermann has been suspended from his show for the rest of the week by ESPN over tweets he made regarding Penn State University. ESPN has issued a statement in regards to the suspension. 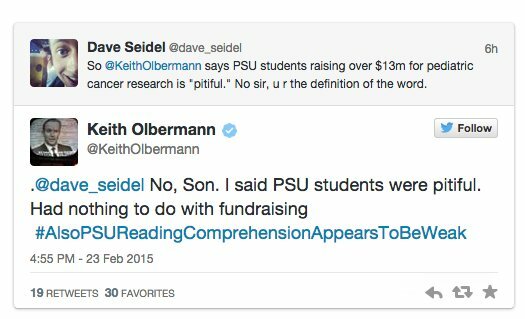 It began rather innocently when a PSU student sent him a link about THON, an annual fundraising event for pediatric cancer and led to Olbermann going nuclear on several students. The tweets were captured by Onward State. Olbermann decided to take more shot before ending. The director of student television at Penn State, Steve Kracik fired off an angry tweet in defense of the school. 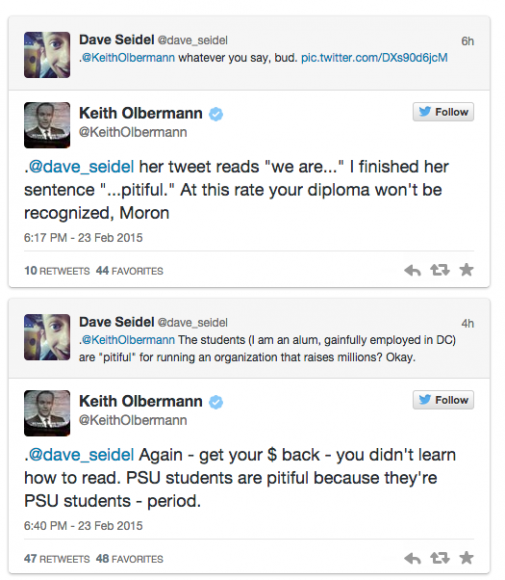 For his part, Olbermann has apologized. Olbermann’s last ESPN suspension was in 1997 after making an unauthorized appearance on The Daily Show With Craig Kilborn. 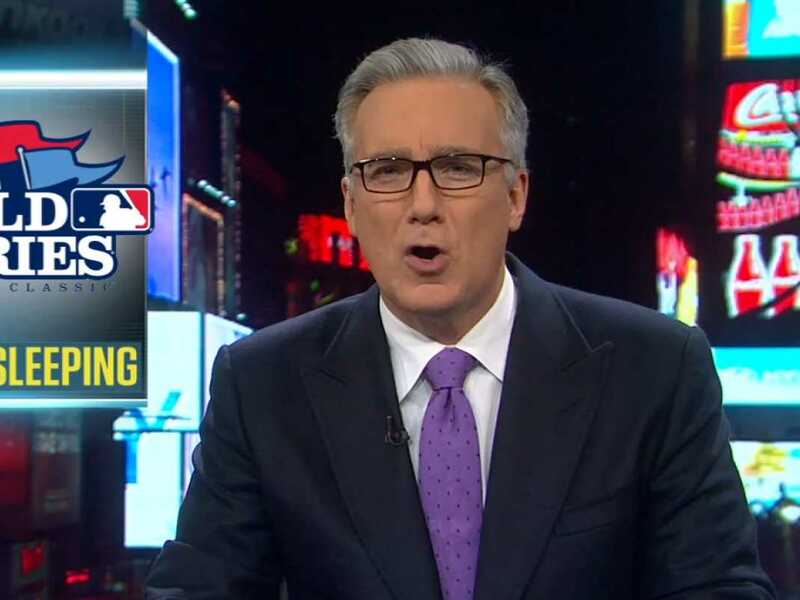 As mentioned in the ESPN statement, Olbermann will return on Monday. Pingback: Keith Olbermannn says he's putting an end to Twitter "batting practice"